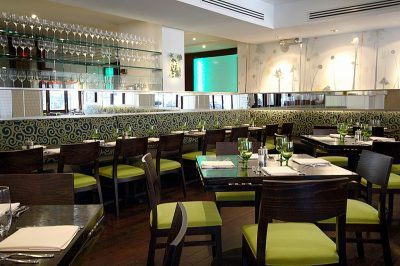 The T-Bar Restaurant & Lounge is a steak house nestled on Third Avenue between 73rd and 74th Streets on the upper east side and has a warm, distinctively neighborhood vibe in spite of, or in addition to, its upscale, suit and dress-clad clientele. T-Bar effortlessly melds the casual vibe of a local bar where you can watch a game and enjoy a drink at the bar with the artful cuisine of a destination restaurant. 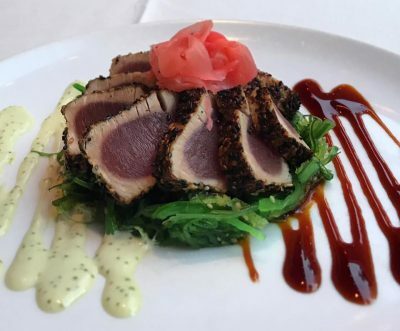 Its menu offers extraordinary specialty steaks as well as table starters, appetizers, entrees, sides, and delectable desserts, complemented by varied wine and cocktail offerings. Table offerings include Angel Chicken Wings with Tamarind Glaze, Pizza Zucchini with Goat Cheese and Capers, incredibly fresh Guacamole and chips, and Pizza Margherita. 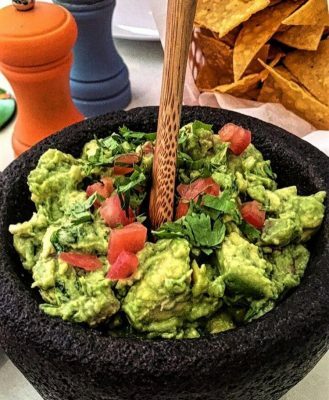 We tried the Guacamole and were grateful that we did, as it was perfection in creamy guac form. You’ll have a choice of five different salads on their menu: Kale, Classic Chopped Caesar, Beet & Endive, Iceberg with Blue Cheese, Bacon, and Tomato, and the T-Bar Salad (heart of palm, tomato, cucumber & green beans). 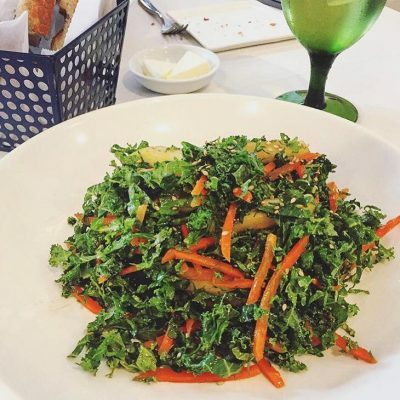 We heartily recommend the Kale salad. If you’re truly feasting or celebrating as a group, or simply really hungry, order some Starters. The eclectic offerings encompass Market Oysters, Tiger Shrimp Cocktail, Seared Spanish Octopus, Foie Gras & Chicken Parfait, Vietnamese Shrimp Roll, Segundo’s Meatballs ( come on, you know you have to try these! ), and Yellowfin Tuna Tartar. Ah, the Mains! They’re equally diverse to suit all tastes. Are you a fish lover? 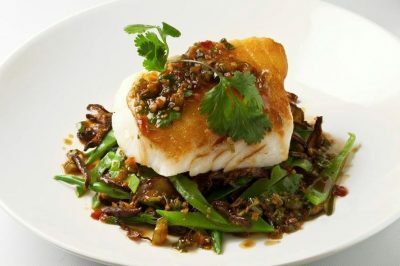 Choose from Irish Salmon, Crusted Tuna, Grilled Branzino, and Chilean Sea Bass with inspired sides, herbs and flavorings. 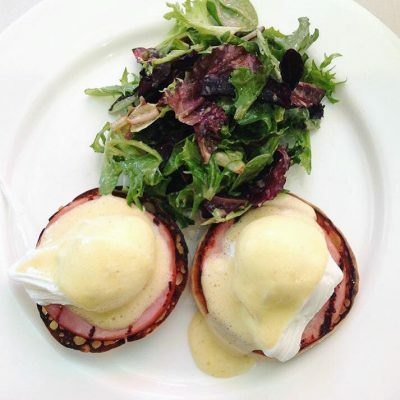 If you prefer Veal Ragout, Chicken Milanese or Crispy Long Island Duck, those are spectacular, too. The Roast Free Range Chicken is a great choice, as is a dinner salad with your own protein additions. Something light? Opt for the Soba Noodle Chicken Salad. 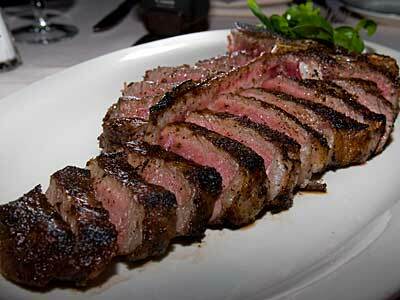 24 oz, and a Black Angus Porterhouse for two. 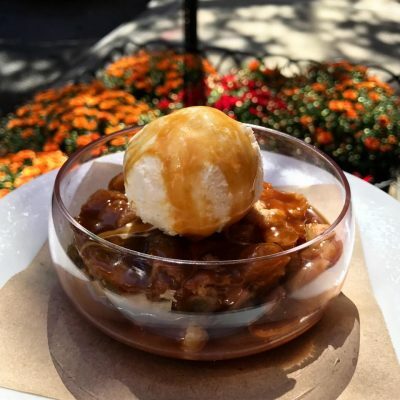 Desserts are highly recommended here, and each one serves 2/3 people, so leave room… We sampled the incredible Warm Apple Crisp with caramel sauce and ice cream as well as the Chocolate Sundae with brownie, cream and chocolate sauce. One word for both: Wow! You can also try a Banana Parfait Mille Feuilles with coconut-caramel sauce, or a Strawberry Sundae with shortcake, meringue, and cream. If you prefer their selection of Ice Cream and Sorbets, or Assorted Cookies, it’s all good.